I looked like a 'Super Mario Bros.' Goomba. It's arguably the ugliest haircut on the planet. 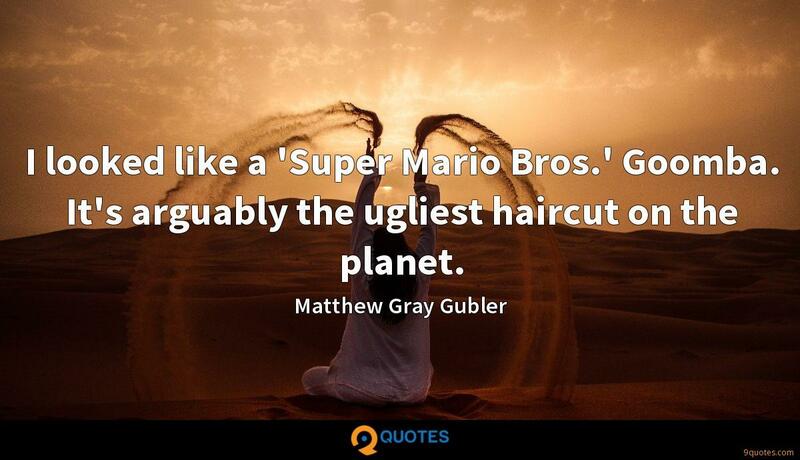 Matthew Gray Gubler Quotes. 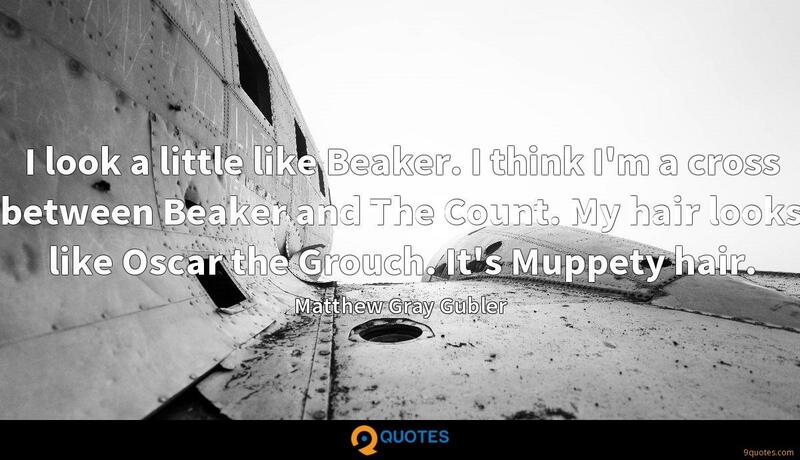 9quotes.com, 2018. http://www.9quotes.com/quote/matthew-gray-gubler-277310, accessed 22 April, 2019. I'm for anything that teaches consideration and kindness. 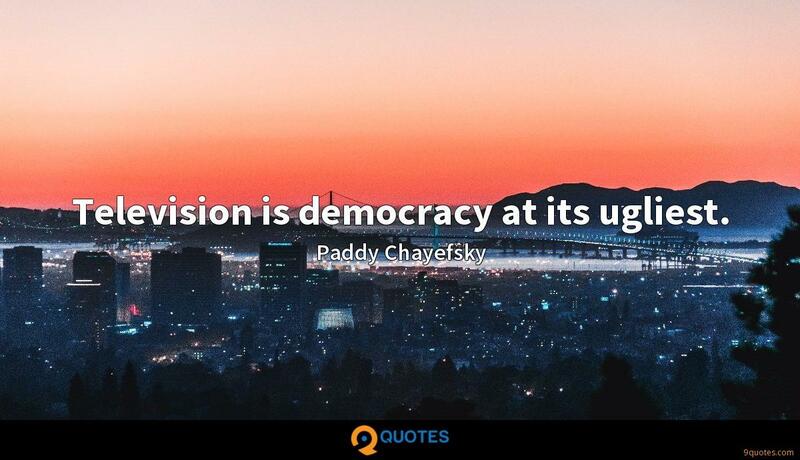 If one can teach one's son to dance with the ugliest little girl in the room, that's the best lesson they can ever learn. 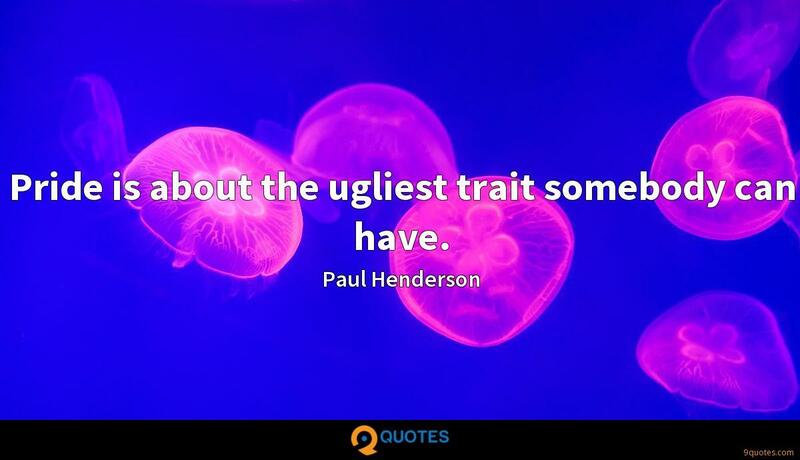 Pride is about the ugliest trait somebody can have. I get really sad when people say, 'I'm no good. I haven't been cast in a pilot.' It doesn't mean you're not good; it just means someone hasn't seen you yet. It doesn't mean that in real life you're not the greatest actor. A fantastic actor in a scene that's just closed off will be good. But when working with a director who knows little tricks - correct music, slowly pushing in - that stunning performance will somehow become even better. I've always seen it as a symbiotic relationship. Tisch has a great film program and a great acting program, but they are segregated; you don't really intertwine. My peers knew I liked acting, so they'd be like, 'Go get that guy Gubler. He'll be in your student film.' I was in the same building. I became their go-to guy. So I left NYU having been in probably one thousand short films. I look a little like Beaker. I think I'm a cross between Beaker and The Count. My hair looks like Oscar the Grouch. It's Muppety hair.